The harvest has come and gone, we must allow the bountiful fields to rest. Foreign lands beckon us with unclaimed riches. 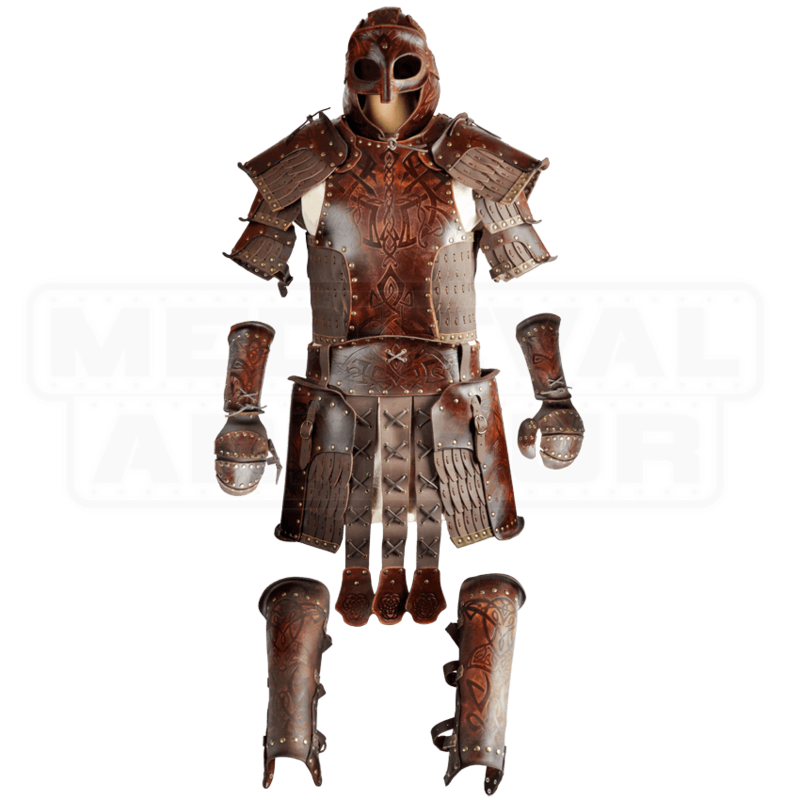 The Odomar Viking Leather Armour Package ensures a strong defense while raiding the seaports of our foes. The pauldrons attach securely to the cuirass. The tassets combine easily with the large belt. Entrust your limbs to the included gauntlets and greaves. Top it all off with the Norse inspired helmet. Antique-brass plated rivets complement the Nordic vine accents on each armour piece. Adjustable straps and eyelets with leather string hold it all together. 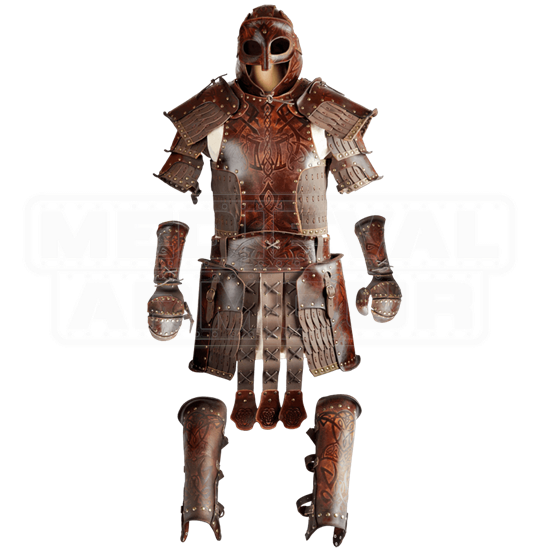 Enjoy the comfort and mobility of this armour sets layered design at your next LARP event.